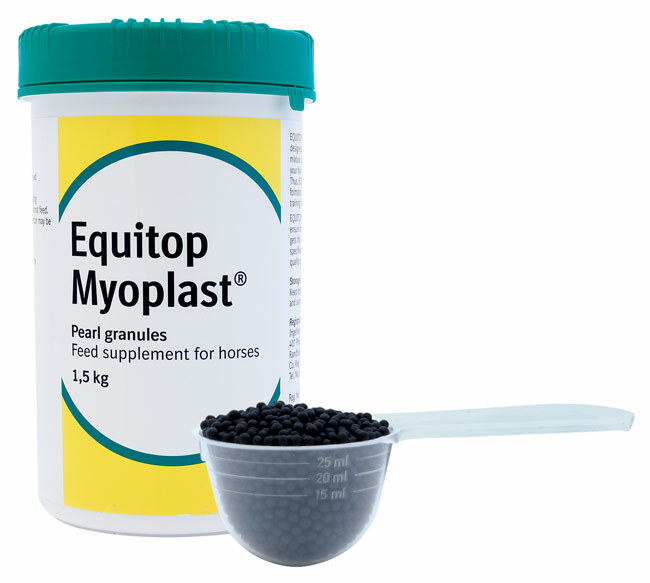 Equitop Myoplast can help your horse get the most out of training & exercise, by giving them the nutrients to build & develop muscle. As it only contains amino acids & no excess sugars or fats, it isn't heating & won't cause fizziness or fat gain. You should start to notice a difference in your horse's muscle & condition after feeding Equitop Myoplast for 3-4 weeks. Ponies/horses up to 500kg- Feed 25g daily. 1.5kg will last for 60 days. Horses over 500kg- Feed 50g daily. 1.5kg will last for 30 days.